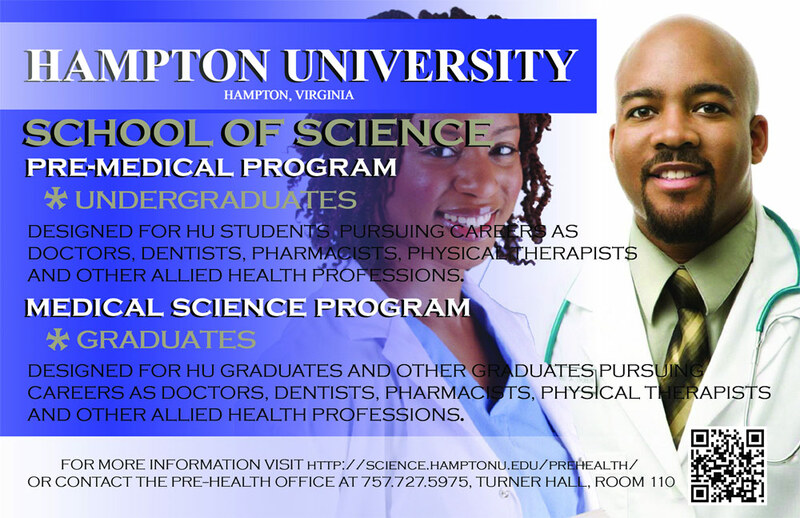 The Pre-Health Program at Hampton University provides a variety of medical education activities, including a pre-professional timeline, medical school application advice and support (beginning in the freshman year and continuing toward graduation) to Hampton (undergraduate) premedical students pursuing careers in medicine, dentistry, and the allied health professions. 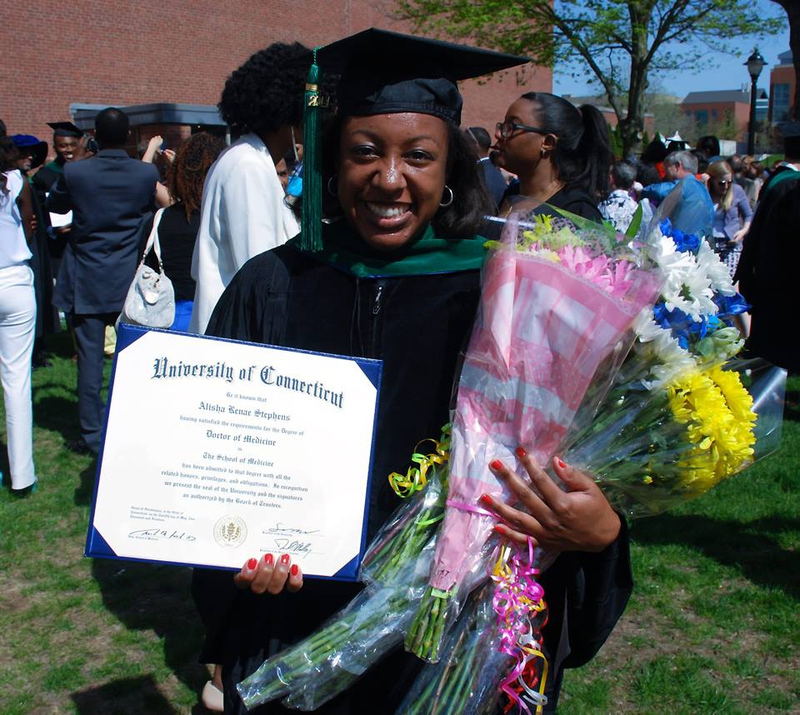 Premedical students interested in obtaining doctoral degrees in medicine, dentistry, osteopathic medicine, podiatry, veterinary medicine, optometry, chiropractic, and public health/health care administration, should apply to become a member of the Pre-Health Program. Juniors, sophomores, second-semester freshmen, who possess a minimum 2.75 GPA (Grade Point Average), are eligible for membership. The Pre-Health Program headquarters is located in Turner Hall, Room 110. 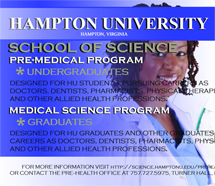 Please Note: This application is for currently enrolled Hampton University students. If you are not currently enrolled, please do not complete this application. 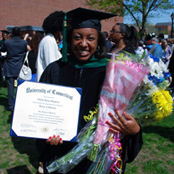 Apply online by visiting http://docs.hamptonu.edu/forms/premed/. If you would prefer to download and print the application form and submit your applicaiton by mail, please use this form. 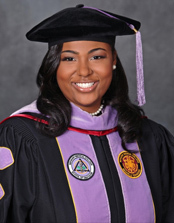 HU Biology/Pre-Dental Alumnae Dr. Sharla Wyatt celebrates her graduation from Meharry Medical College School of Dentistry. * Ninety-seven percent (97%) of these students are African-American. The application process for this year (2016) is currently in progress.